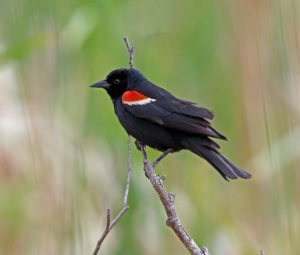 Tricolored Blackbirds experience large annual breeding losses associated with crop-harvesting activities and insufficient prey abundance. 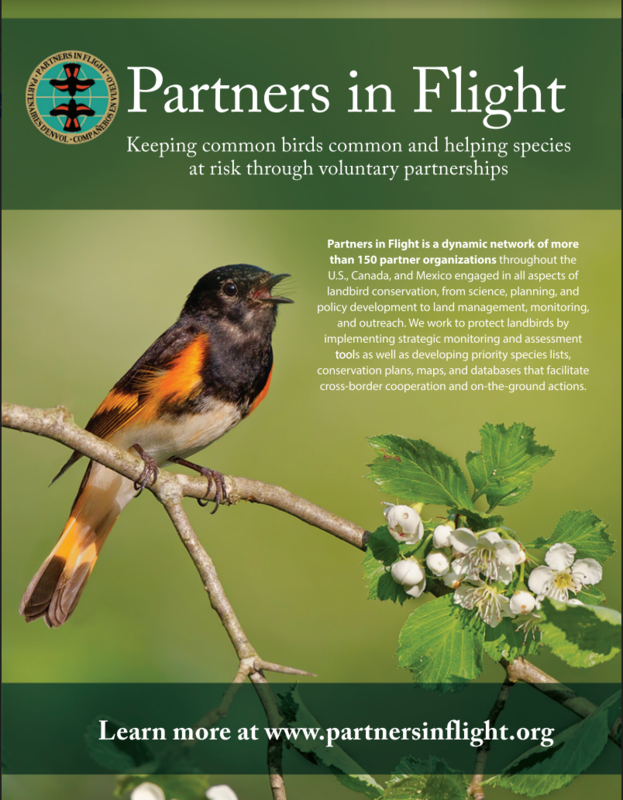 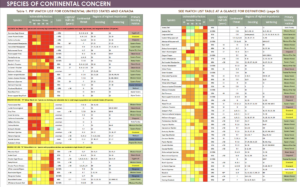 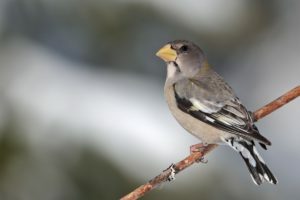 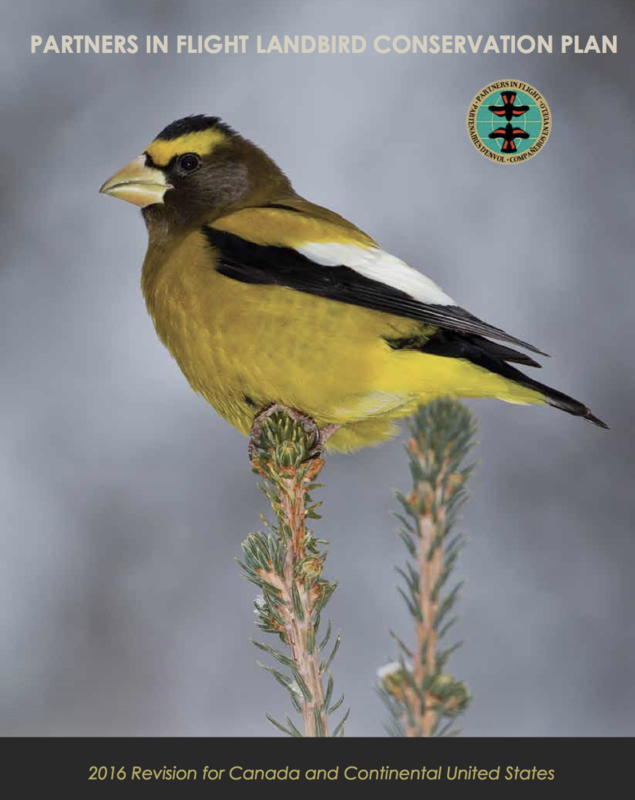 The Evening Grosbeak is featured on the cover of the 2016 PIF Landbird Conservation Plan, as it has the dubious honor of experiencing the steepest population decline (92% since 1970) of all landbirds in the continental U.S. and Canada. 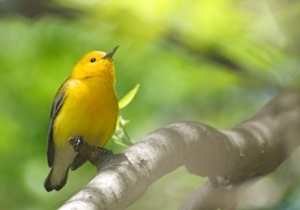 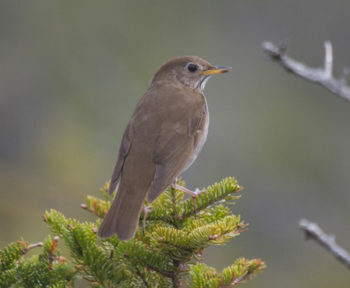 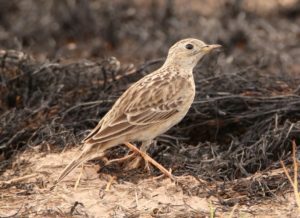 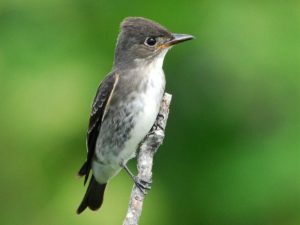 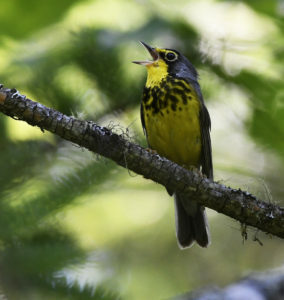 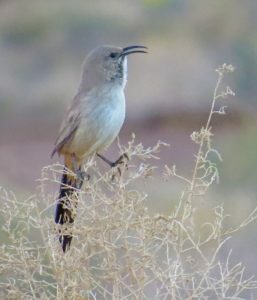 As an extreme habitat specialist, the Bicknell’s Thrush has a very limited range, breeding primarily in high elevation stunted montane spruce-fir forests of the northeastern U.S. and southeastern Canada.